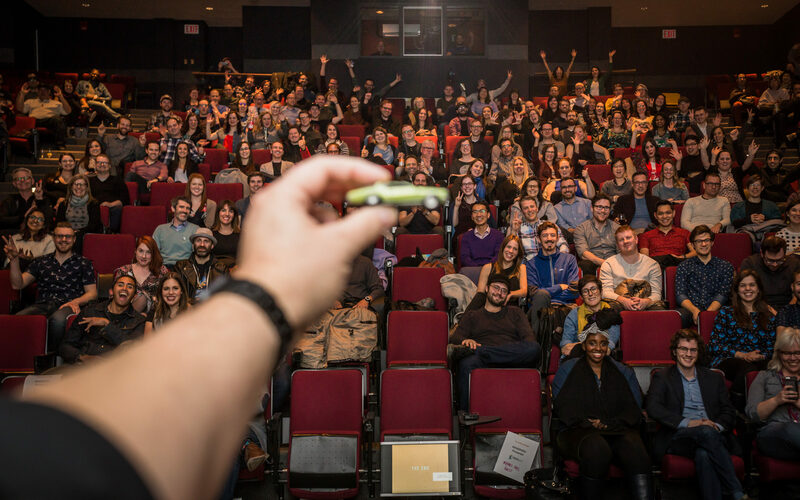 Connecting with Pecha Kuchians | Miguelito's Little Green Car. We are all connected. 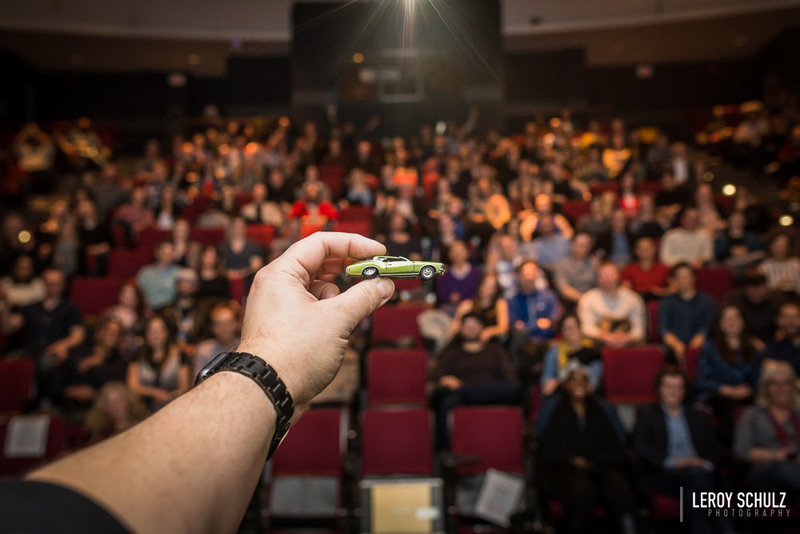 As part of Edmonton NextGen‘s Pecha Kucha Night 30, I presented about the Miguelito’s Little Green Car project at NAIT. 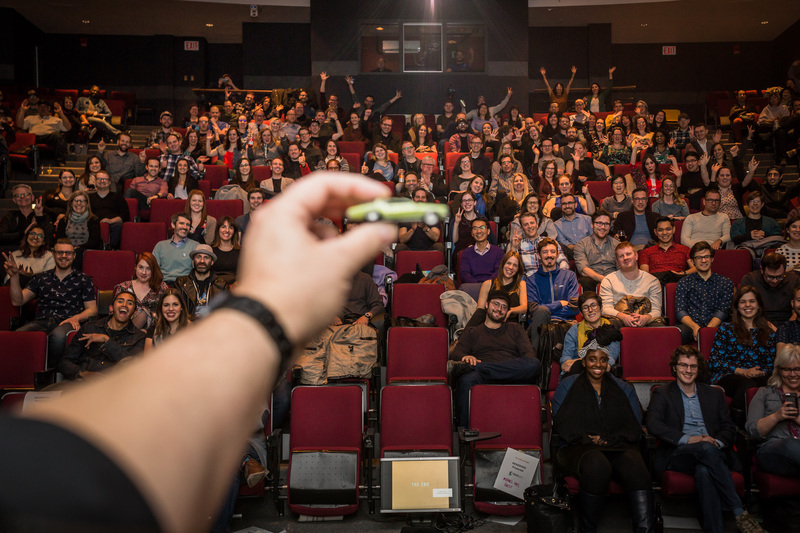 Since we’re all connected, at the end of the presentation we connected the audience into the green car collective with a photo from the stage. Find yourself in the photo below by hovering to zoom into the image.